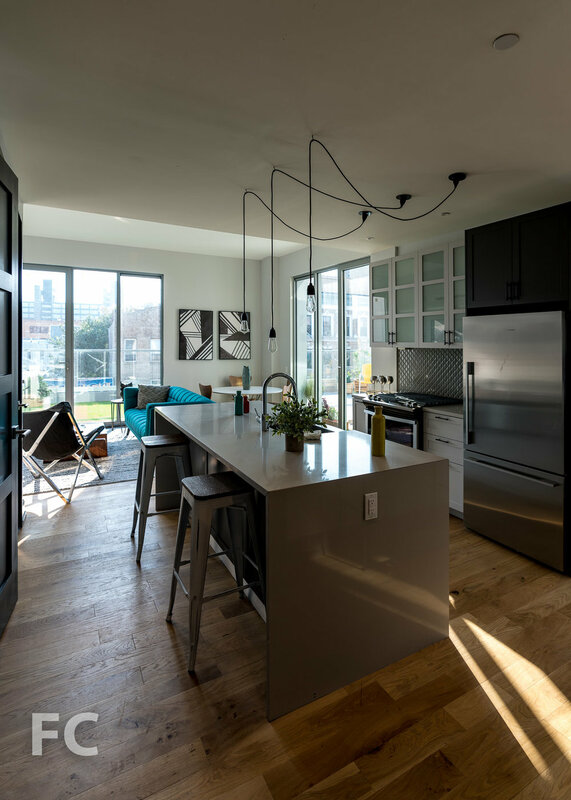 Construction is nearing completion at the Rheingold at 10 Montieth, the nine-story residential complex from the Rabsky Group that will occupy a portion of the former Rheingold Brewery site in Brooklyn's Bushwick neighborhood. The project is designed by ODA, architects of another large residential project under construction on an adjacent brewery parcel at 123 Melrose. The project's massing is defined by its sloping roof that ramps up and down by several stories over the length of the full-block site. The sloped roof will accommodate a farm, lounge space, and running paths while allowing sunlight into the central courtyards. 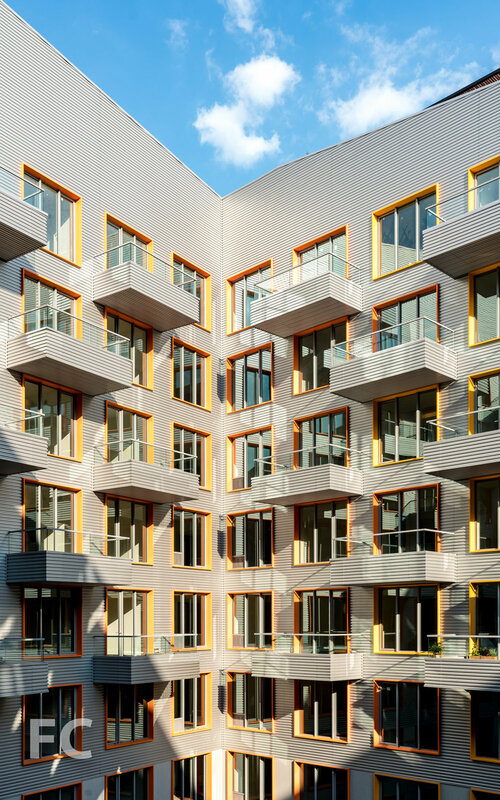 Balconies and bay windows are dynamically scattered throughout, lending a further sense of movement to the façades. 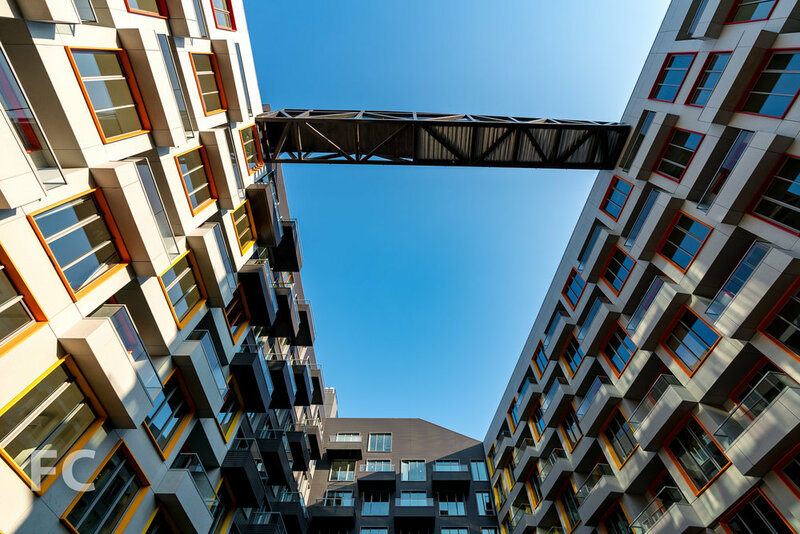 A bridge at the roof spans across one of the interior courtyards. Looking up at the north facade at the residential entry. The Rheingold will offer residents numerous amenities including a fitness center with climbing wall and squash court, yoga room, spa, two common courtyards and roof deck, business center, conference rooms, cafeteria, game room, dog run, laundry, and studios for painting, music and photography. Rooftop amenity deck under construction. Typical residential corridor and elevator lobby. 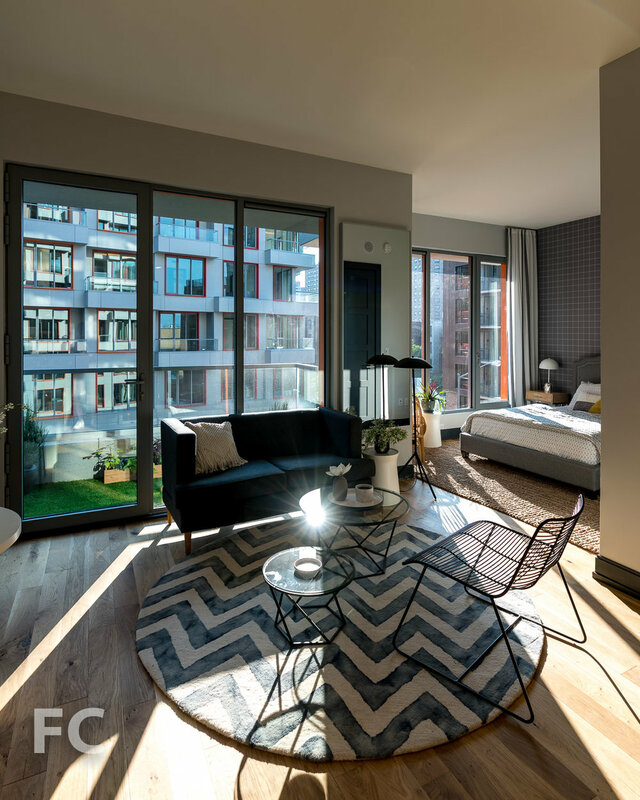 The Rheingold will offer 500 units over eight floors, ranging in size from studios to three-bedrooms, many of which will offer private outdoor space.